Is your Data ready for Hurricane Florence? How important is your Business Data? Is your system backup working as it should? How about your backup power supply? Is it working correctly? Don’t be the one company that loses all their data. Let us come out to check the scheduling of your data backup and to make sure it is actually backing up your irreplaceable data. Also, in the event of a power loss, you could lose all your data. Let us test your backup power supply? A bad backup power supply will allow your server to shutdown, stop your backups, and possibly lose all of your important business/client data. Call us at (252) 240-2722 to make an appointment. Let’s beat Florence to the punch. Did you ever want to sync photos between your phone and PC, instantly? How about the ability to find that perfect emoji, faster? Well, now you can…..
* Courtesy of the WINDOWS INSIDER PROGRAM. Have you noticed your computer has been running slower lately? 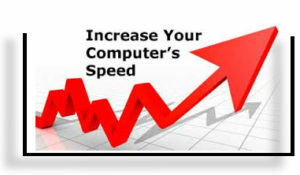 We know of several techniques to help your PC return back to normal speed. One of the simplest ways is to disable your Power Saver Plan. This plan is designed to save energy by reducing you computer’s overall performance. If you are using a desktop PC, there really isn’t any reason to use a Power Saver. We recommend changing to High Performance Mode to deliver a huge performance boost. 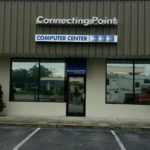 If your computer is running slow or giving you problems, please give us a call (252) 240-2722 (CPCC). We can help. 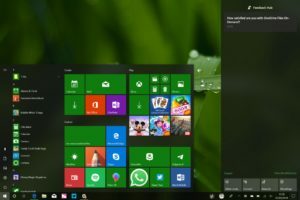 The Windows 10 “Spring Update” is out, also called update 1803. As usual Microsoft takes one step forward and 2 steps back, causing headaches for some users. We have seen reports of multiple MS Surface systems with broken kb/m connectivity, laptop batteries no longer charging, and some systems having problems loading the desktop after upgrade. What can you do? Windows Pro users can defer security updates for 35 days and Feature updates (like 1803) for a year. But Home users don’t get that option. If your Windows 10 experience is ruined with a feature update, call us at (252) 240-2722 and we can help. CPCC asked Santa for a new sign for the office and guess what happened on Saturday?! Come by and see our new store front signage and be sure to pop in to say “Hello and Merry Christmas”! We wish a Happy and safe Holidays to you and your family this Christmas season! 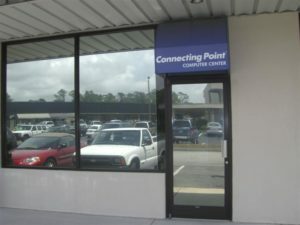 We are located in the Pelletier Harbor Shopping center, between NOVA Urgent Care and Farm Bureau. Locals may find us by driving to 70 West Marina and looking directly across the street to see our sign.